Rip Cord has seen better days, even with a piece of string keeping him tie up. 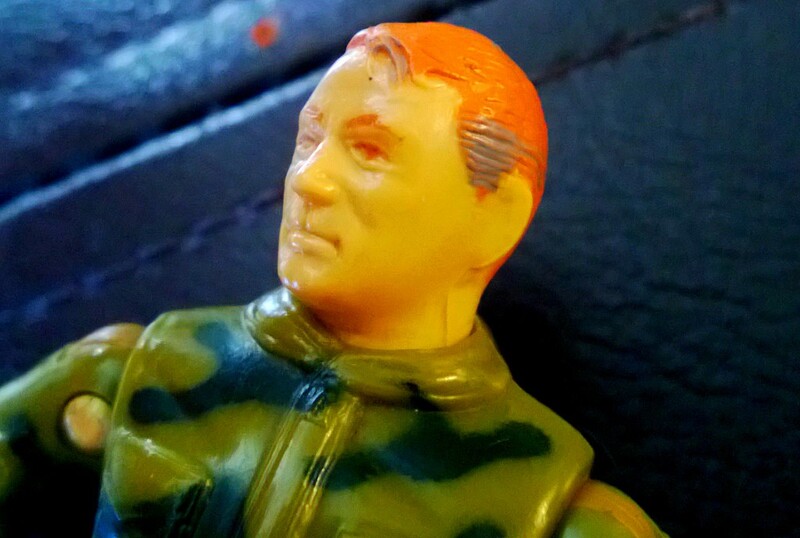 This orange-haired G.I. Joe is among the oldest of my meager collection, and he’s showing his age. Rip Cord, first released in 1984, broke long ago. So long ago, in fact, that an attempt to fix him was made. I’m not sure if it was me or my brother who did it, though. Perhaps we were lacking rubber bands at the time. 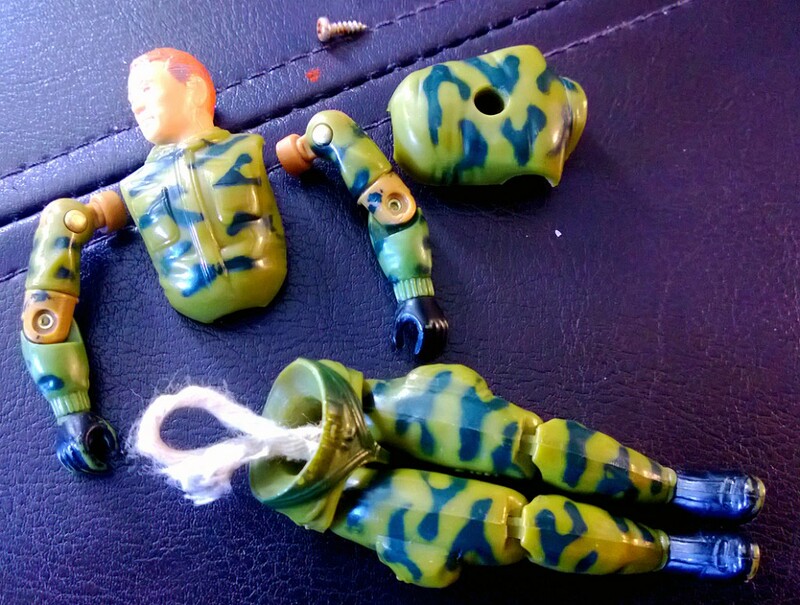 The string was effective in keeping him in one piece, but he was so loose and wobbly I had to reassemble this reassembled Joe. Rip Cord goes grey, thanks to a dab of paint. There was a period of time when I decided to made some changes to my Joes. Since Rip Cord was one of the oldest, I thought it was only appropriate to make him show his age. I think it still holds up. It gives his Ron Howard-like face a bit of dignity. Rip Cord came with a helmet, air mask, weapon and parachute (see them here), but they vanished piece by piece over the years. Rip Cord stands tall once more. « Mainframe is back online – and accessorized!